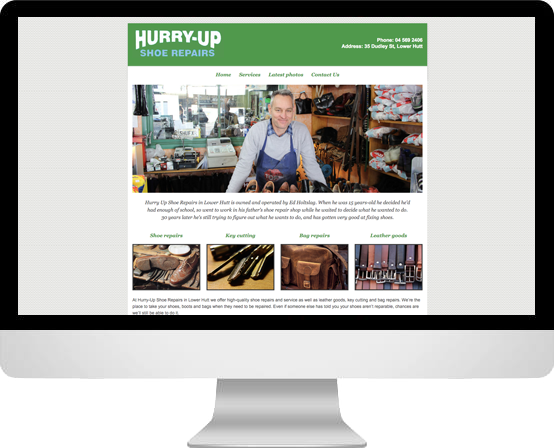 Hurry Up Shoe Repairs in Lower Hutt held a big chunk of the shoe-repair market, but had no website to show for it. They’d been around for more than 30 years, and were worried that not having a website would allow the competition to catch up and overtake them. We wanted to build the website around the staff and their stories, since they’re the people who had built great relationships with their customers over the past 3 decades. So we came in and took some simple photos of the staff at work, and put together a simple site that soon took the number one spot on Google!